Welcome to Mixed Nuts Productions, the home of Living in 8 Bits, No Footing, Films, Music Videos, and other fun and exciting stuff. We’re a group of South Jersey Filmmakers specializing in quality independent film and video production. We’re perhaps best known for our web series Living in 8 Bits, a sketch comedy web series about the lovable world of retro video games and a featured series on RetrowareTV. We’re also known for our multi-award winning independent feature film No Footing. No Footing is the story of an artist named Madison Parker. Fresh out of college, stuck in a dead end job, relationships falling apart, and a complete lack of inspiration to aspire for more, Madison attempts to jump start her career and get her life started. The full film can be viewed on Amazon Prime and YouTube. 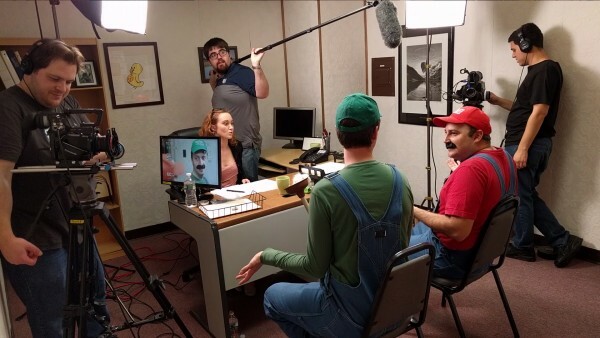 Along with our own productions, we assist many other projects by Cinevore Studios including their web series Nerd vs Geek and Moot. On top of Short and Feature Films, we have produced Music Videos for many artists including Rich Cronin, Honah Lee, Payton Taylor, and MC Lars.